Do you know anyone is a problem gambler. If you’re not sure what a problem gambler is you should read my post on Responsible Gambling. I actually work with someone who is a problem gambler. He tells me he has spent thousand on the pokies. He even said it had cost him his relationship with his almost bride to be. I told him he had to take control of his life and not let the pokies take control of him. Unfortunately for many it is not as easy as that and they should really seek professional help. Many can not deal with problem gambling on their own. That post on responsible gambling also has some links to helpful problem gambling sites. I’ve also found this article on problem gambling by the Salvation Army to be very informative. 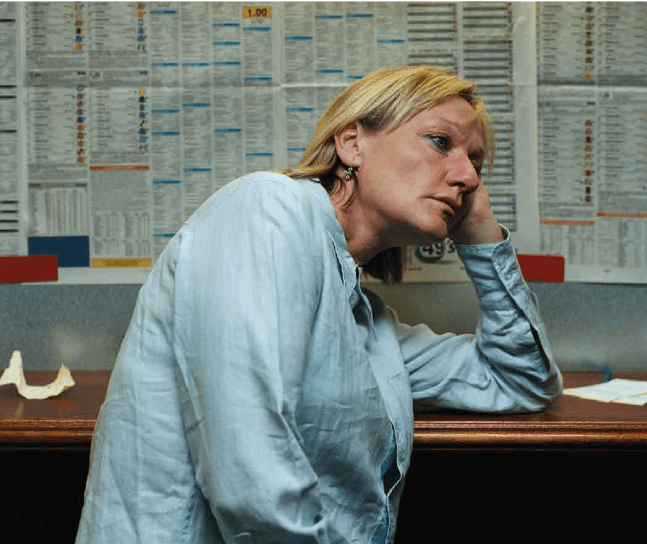 I pulled that image from the article because it shows just how emotionally drained problem gamblers can be. As the article explains a problem gambler does not want to be lectured to. Doing so only raises their defences. That does not meant that you can’t approach them to tell them you are there if they need someone to talk to. Something you should not do is to feed their need to gamble. Don’t put them in situations where they can feed their urge to gamble. If they’re heading towards the pokies in the pub try to lead them in another direction. Better still, don’t got to an establishment where you know they have pokies. Never ever bring up any type of gambling topic. Don’t brag about some bet that came good for you or how you’re going to place a bet on any sort of sporting event. What you should do is to let them know how important they are to you and how their gambling problem is negatively affecting that relationship. You have to let them deal with the resulting problems that their gambling has gotten them into. Do not lend them money to pay off their debts. They’ll probably gamble it away. Do not lie to protect them as it will have the opposite effect. Do not turn your backs on a problem gambler as this will only exasperate the problem. Spending time with them, away from temping situations, may help them to steer away from their need to gamble, especially if their gambling started out of boredom or a way to relieve stress. Talking to someone with a gambling problem, without lecturing them, may help them to see why they turned to gambling in the first place. I found this video on gambling addiction. The video is brilliant. You actually see problem gamblers talking about what turned them into problem gamblers. Knowing the cause can help to resolve the problem. It also dispels a lot of the gambling myths. Knowledge is power. Please leave a comment and share this post if you think it was helpful. thanks so much for your revealing story about your gambling addiction. Was there a particular type of gambling that you were addicted to? Can you remember the process involved that caused the addiction? I’m assuming that it was a slow process. The good news is that there is help, you just have to ask for it. If only problem gamblers could recognise the early signs of addiction they could turn it around before they get sucked into it clutches. Thanks also for that link.